Castles in England: Five stunning castles in East Sussex. Castles were built to keep enemies out and to protect and keep safe those within; the castles of England have always captured the imagination of travellers from every corner of the world. The golden era of castles was during the Norman Conquest in the 11th century and continued their constructions until early 18th century, however, the later castles weren’t built to protect its inhabitants it was just for show. Today, visitors can find numerous castles in England in various states, some in restoration and unfortunately others in decay. Some of them have become top tourist attractions, offering travellers the opportunity to see how the everyday routine in a real castle was. East Sussex features some of the most beautiful castles thanks to the fact that historically this region has been vulnerable to attacks. East Sussex is home to the fortress, impressive and famous castles in England, so we invite you to relax and check out this top 5 stunning castles in England. 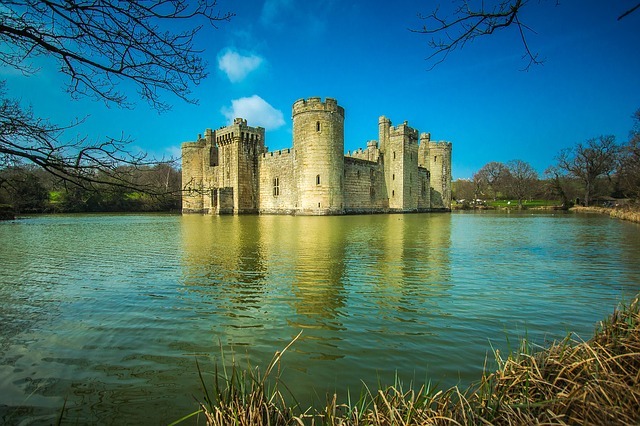 Bodiam Castle is considered the perfect example of a medieval moated castle. Built in 1385, by a Sir Dalyngrigge, Bodian features a fairytale look thanks to its soaring towers and impressive surrounds. Sir Dalyngrigge decides to build this castle, mainly with the intention of defending East Sussex from a French invasion during the Hundred Years War. The exterior of the castle is fabulous, perfect for pleasant strolls before entering the castle. Once you inside, climb the steep spiral staircases that lead to the battlements, also you will have stunning views of the River Rother. Furthermore, enjoy a walk across the courtyard and visit the water well room. Bodiam Castle is certainly one of the most beautiful castles in England. 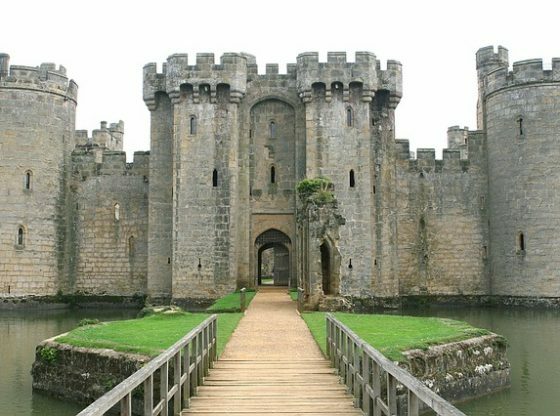 As Bodiam Castle, Camber Castle is one of the numerous castles built to protect the southern coast from French invasions. This castle boasts the typical architectural styles of Henry VIII fortresses: A geometric design with rounded bastions and a central tower. Obviously, the first edification was the tower, as part of the plan to defend de harbour of Rye. Unfortunately, the castle has suffered from weathering. Luckily, thanks to the current administration, some areas of Camber Castle are part of a restoration program. Lewes Castle has passed to history thanks for being the very first fortress built in England, after the Norman Conquest of 1066. 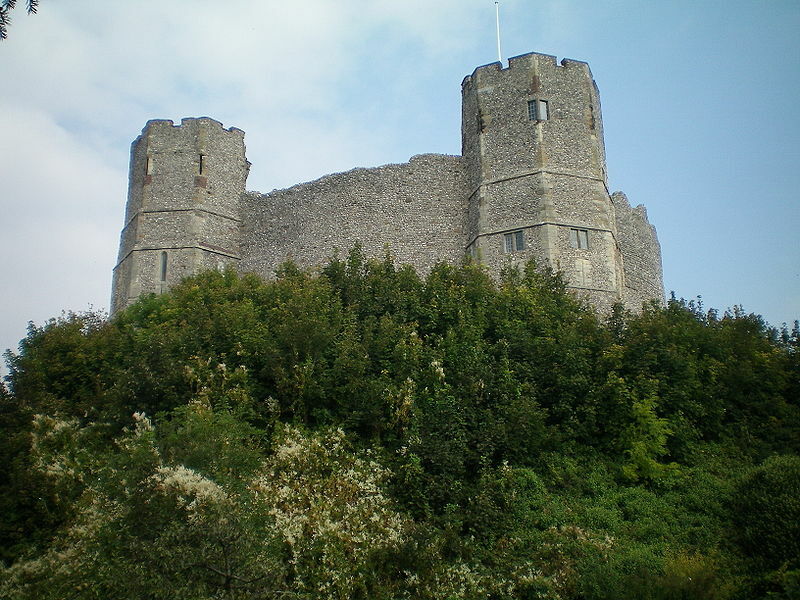 Certainly, we can say that Lewes Castle was designed to be seen and also to see. This Norman Castle has a series of spiral staircases that lead you to the highest tower, which offers stunning views of Sussex. The Barbican House, next door of the castle, is home to a fabulous Museum of Archaeology and a mini cinema that tells the story of the castle and of the city. The Museum is home to a fabulous exposition of Anglo-Saxon artefacts and clothes. 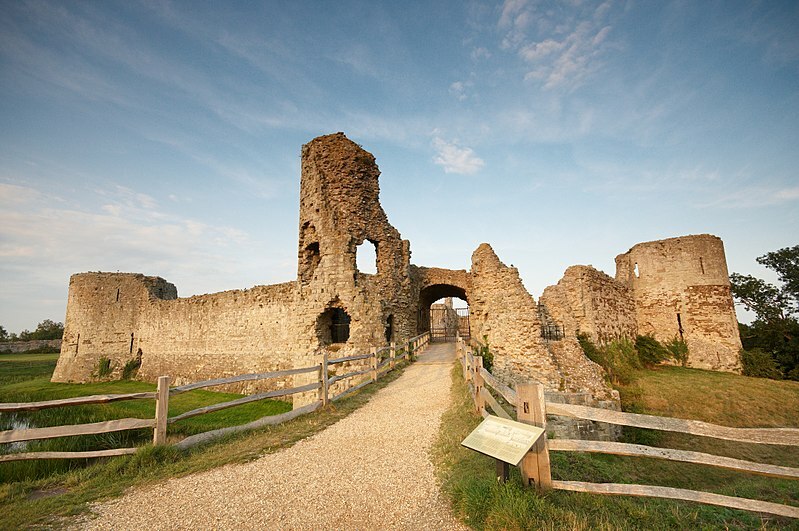 The location of Pevensey Castle encloses a fascinating history. Firstly, around 290 AD the Romans built a fort in this very place. 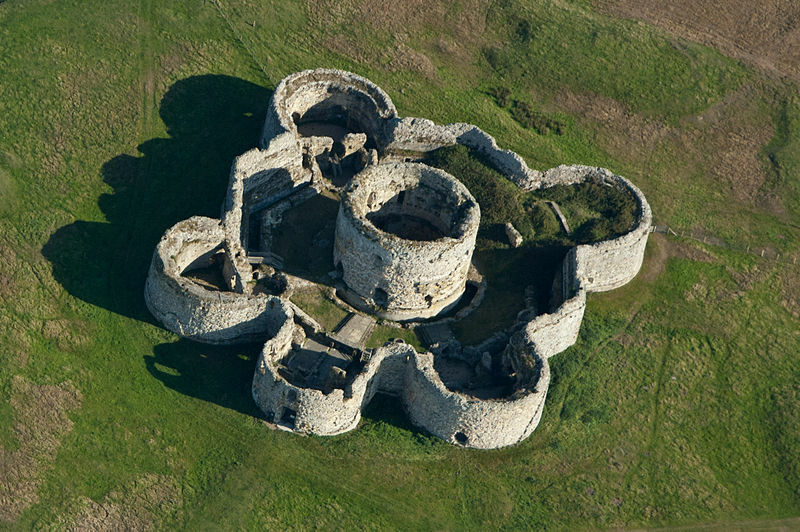 After the Romans left Pevensey around 410 AD, the fort was occupied by the Saxons, from the 6th century until the 11th. Later on, in 1066 the Normans arrived and built more defences. However, during the Tudor Times, the castle became a complete ruin. For the first time in 400 years, the castle was used again in 1940. Nowadays, you can visit the Roman west gate and the medieval gatehouse. Also, you can still visit the foundations and the unusual design that features this castle, a rectangular block with 7 towers. Castles in England are numerous, but castles with unique styles and fabulous surroundings are scarce. That is the reason why we must add to this top 5 the Herstmonceux Castle. 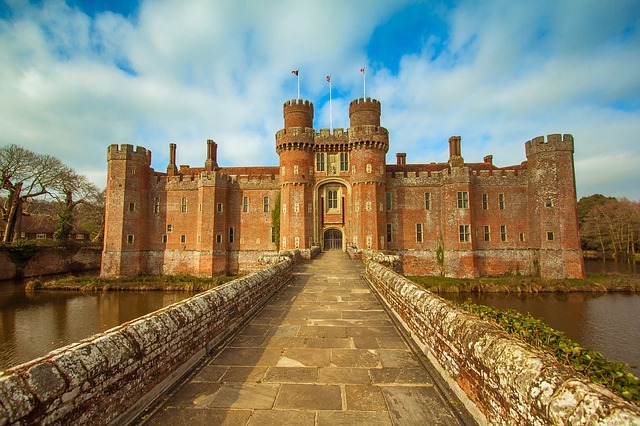 Herstmonceux is famous thanks to its impressive moated castle, set in more than 500 acres of fascinating parkland and gardens. This beautiful castle features a fabulous medieval British style as well as a renaissance European atmosphere. Amongst its gardens, you will find a herb garden, the Shakespeare garden and the walled garden that dates back to 1570. Furthermore, the garden features fabulous sculptures and a pyramid. The story of the castle begins in 1441 when sir Fiennes, decided to build his castle. Sir Ralph Fiennes, decided to use the bricks, which in that time was an uncommon building material, to construct its luxurious and grandiose residence. This scenic 15th-century brick castle was the largest private residence in England. Nowadays this castle is a popular attraction for those visiting Brighton, Eastbourne and Hastings. Here our post with five stunning castles in England. 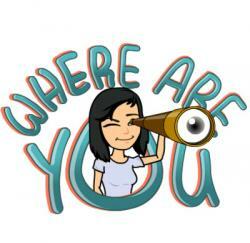 Have you ever been to any of them? Would you like to add another castle? Tell us what you think about this selection.